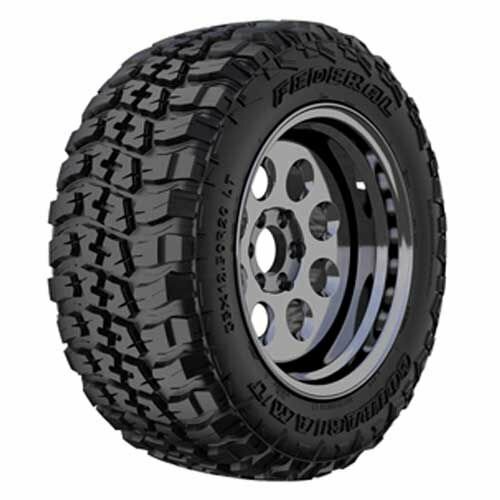 Federal's ultimate off-road tire. Rugged off-road performance with the looks to match. Unprecedented traction, grip and strength. Pattern engineered to clear foreign substances to ensure constant performance. Aggressive block and shoulder lug offer awesome traction on dirt, rock, mud and gravel. Strong protection block on the upper shoulders to handle the toughest terrains. Designed to conquer the impossible.